One of the biggest hurdles many prospective adoptive parents face is the cost of adoption. A poll of family and friends revealed the perceived cost of adoption to be between $5,000 and $10,000. The reality is private-agency domestic adoption ranges from $20,000 to $45,000, and international adoption ranges from $20,000 to $50,000. With so many children in need of forever homes, you have to wonder: Why is adoption so expensive? To begin with, there are many steps involved to ensure the safety of the child. Whether you adopt domestically or internationally, you will need a home study. Your home study involves an examination of your finances, relationships, health, home, and motivations for adoption. A licensed social worker will conduct in-person interviews, then sift through all your mounds of paperwork to write an evaluation of your family. There are background checks, fingerprints, medical examinations, and adoptive-parent education trainings, all of which carry a price tag. Additionally, you will pay for post-adoption reports to confirm the adopted child is being raised in a secure, loving environment. For private domestic adoption, whether you work independently or with an agency, you can expect advertising fees. Advertising fees may include classified ads, video production, or the construction of a website. You may choose to do this independently or work with a consultant. Consultants cost more but may yield better results and quicker matches. There are legal fees for both the adoptive family and the birth mother (which the adoptive family usually cover), document authentication fees for the compilation of your home study, and required legal document filing. Birth mother fees may include medical expenses, living expenses, counseling, and prenatal and postnatal care. 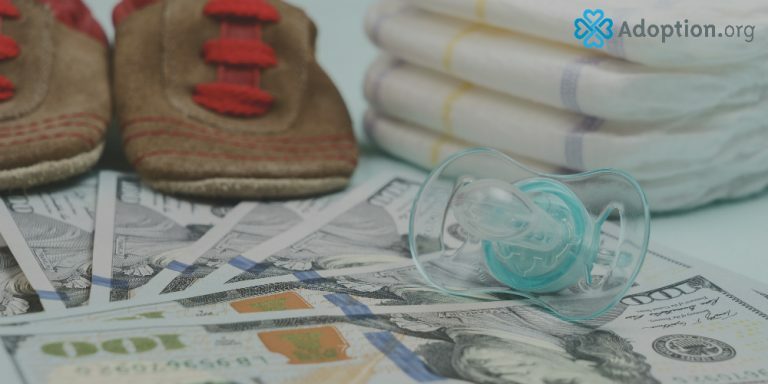 Once the child is born, there will be airline and hotel fees, which vary greatly depending on where the birth mother resides. For international adoption, you will have agency fees, document authentication fees, USCIS and visa fees, and translation fees. Orphanage fees support the staff and care of the children (such as clothing, food, medical care, and foster care) where your child resides. Government fees go toward the facilitation of the adoption in-country. These fees vary greatly depending on which agency and country you choose. Additionally, international adoption is often expensive due to the travel involved. You may have host fees, which include the expenses related to your adoption facilitator in-country, airline fees, hotel fees, and cab or driver fees. Once you return home, you may wish to readopt your child. Though your child is legally adopted in his or her country of origin, readoption refers to the legal process through which your child may be re-recognized as your legal child. The price of providing a child with a forever home may seem expensive, but know that most of the fees involved go to the care and prenatal care of your prospective child and ensure the safety and well-being of that child. And there’s good news. For families open to foster care, the cost of foster-to-adopt is around $2,500, thanks to federal and state adoption assistance programs. Know too that there are a number of grants, subsidies, and tax credits available for qualifying adoptive families. For more on how to afford adoption, visit Adoption.com.